Living in Ecuador or anywhere abroad requires overcoming fear and change. Today’s rare solar eclipse comes only every two or three generations and is thought to represent times of change. There is a need for us to feel positive. Below we’ll look at change in bond markets and how to retire the the 4.75% ISS Capital 2010 bond sandwich that created an 18% profit since the beginning of 2009. We’ll see how to change this Multi currency sandwich to a better bond now. Multi currency investments… retirement in Ecuador or living abroad anywhere… represents change and this can create fear… but when we embrace the change it’s good. 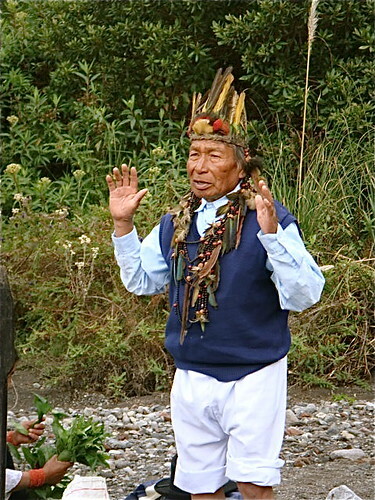 The shamans will be watching the sunrise today and the eclipse. My experience is that anyone who says they are sure how the politics in a country will turn out is truth challenged… or perhaps is not thinking things through. Too many factors are involved to really know. We take risk anywhere we are. There are risks everywhere… all types… and we can never predict them all. Germany for example seems like a safe place to be. A 14-year old German boy was hit in the hand by a pea-sized meteorite that scared the bejeezus out of him and left a scar. “When it hit me it knocked me flying and then was still going fast enough to bury itself into the road,” Gerrit Blank said in a newspaper account. Astronomers have analyzed the object and conclude it was indeed a natural object from space. Who would have guessed? There are all types of risk wherever we are! 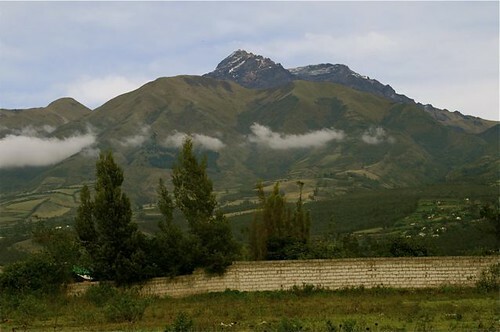 Ecuador is also a land of mountains. 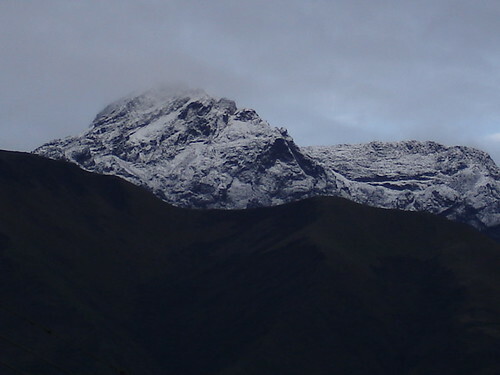 This is Mt Imbaura view from Cotacachi, Ecuador. 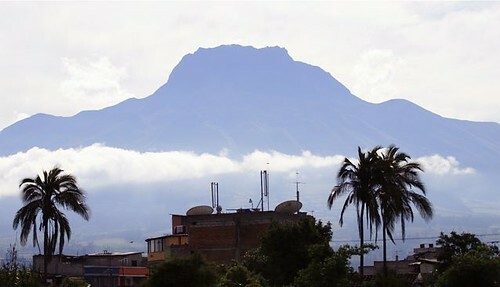 The masculine mountain. This is Mt. Cotacachi on the other side of the valley… the feminine mountain. Here is my reply to the political – legal question about retirement in Ecuador above. I have written a lot about this over the past two years. Having worked and lived on every continent over 41 years…I have learned to have feelings beyond what is read in the daily press. I hope my actions speak louder than my words. Since Correa has come to power I have invested almost a million dollars in Ecuador buying condos, buildings and houses. I do have reservations about the Ecuador government… just as I have reservations about the US government and most governments. Every country has its problems as does Ecuador… but in my opinion (backed by my actions) one of Ecuador’s problems is not the likelihood of confiscation of small individual properties. One never knows how politics turn out. I have a good friend who hated US taxes (he made a lot of money) so he gave up his citizenship, moved everything overseas and took citizenship in what everyone would agree is a very civilized and safe country… only to have serious tax problems there. One never knows everything. mountains enough without creating more. It is rare by the way to see this much ice on Mt. Cotacachi. By noon the ice on the mountain is always gone. A lot of bravery is required to do something like retire in Ecuador or move abroad because most of our backgrounds did not prepare us for such a move. Our backgrounds did not prepare us for the political evolution in our own country either! We can research as much as we like (some research is good) but in the end there is always some risk in the new. Education is learning the rules (what the establishment says is so). Experience is learning the exceptions to the rules (reality). To get experience requires some risk. 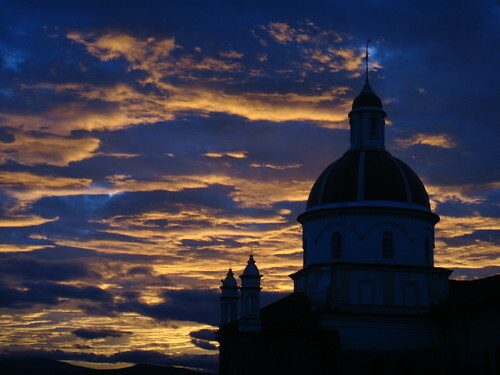 See more about Ecuador Retirement risk here. Mt. 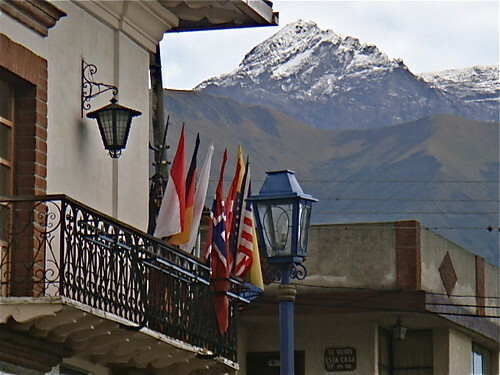 Cotacachi seen from Meson de las Flores. I feel that most negative publicity about Ecuador is overblown (as is negative news in the US). Because Ecuador is more unknown than the US, this bad news helps keep prices low for those of us who take the time to investigate the realities in Ecuador. How we feel about and react to the news is a very personal matter for every person. People have personalities that typically break down into seven lifestyles; Innovators, Early Adaptors, Early Majority, Late Majority, the Deliberate, Skeptical Mass and the Laggards. Each of these lifestyles has its own benefit. Most important is to know which lifestyle fits you comfortably and to stay in that comfort zone. If you feel totally comfortable with the US and are not ready to accept the differences in politics between those in elsewhere and the US, you should never do something that leaves you uncomfortable. My son reminded me yesterday that as the world celebrates this week as the 40th anniversary of the moon landings, it is interesting to remember that of the 12 human beings to have walked on the moon, half of them are of Scottish descent. This includes the first two to walk on the moon: Neil Armstrong and Edwin ‘Buzz’ Aldrin and the first person to drive on the moon, Dave Scott. Alan Bean was the fourth person to walk on the moon and took and left a piece of the McBean tartan to the moon. Even the first game to be played on the moon is a Scottish one – Golf! Many Scots are Pioneers. I have noted in my 41 years of travel and work globally that almost wherever one goes, they’ll find a Scot there. So my comfort level in Ecuador as a pioneer who is always heading for a new place may differ from yours. I have even found that many North American investors have been uncomfortable investing outside the US… much less living abroad or taking retirement elsewhere. This fear has proven unfounded and now even as US CDS are paying 1% or less are even more, Jyske Bank made 18% profit since the beginning of 2009 with a 4.75% ISS Capital 2010 bond multi currency sandwich. That’s profit at a rate of 36% per annum. Now Jyske has switched the sandwich to a 7.25% Bombardier 2016 bond. The Bombardier bond has a longer duration and also offers an attractive extra yield spread of 350 basis points above the ISS bond plus has a better rating. Learn about this entire investment as a Multi Currency subscriber. We are in times of change and this brings increased risk. To turn this risk into opportunity… decide who you are; Innovator, Early Adaptor, Early Majority, Late Majority, the Deliberate, Skeptical Mass or a Laggard. Then look at the advantages of that lifestyle and enjoy them and your comfort zone. Whether you want to retire in Ecuador… change residency… live or invest abroad… this understanding and action can help you eclipse your fears. Join Merri me and Thomas Fischer of JGAM in North Carolina this July and enroll in our multi currency course free. Save $175. Learn more about global investing, how to have an international business and early retirement in Ecuador.